You can have quite a few different motivations for wanting to restore a classic car, and you might even have more than one at the same time. In the end, it always winds up being a labor of love that will test your patience, eat your time, hone your skills, and need a great workshop or garage with the best possible tools for the project. If you’re a classic car lover, then the chance to bring a car back to life is quite a rewarding experience. It also might prove profitable if you sell that car later on. Original classic cars prove harder to come by every year, with far too many of them being just too high in price for an average collector. That means that many enthusiasts and aficionados of classic cars can only enjoy owning a dream car affordable if they restore one. Still, like most other ambitions and dreams, it’s going to take many hours of hard work before you can stand back for a moment and admire your handiwork. In fact, the typical classic car restoration requires more than a thousand hours of work to get done. 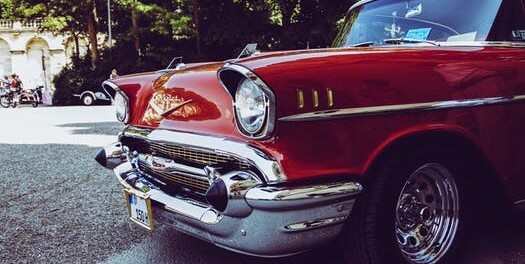 This article covers a few tips you can use towards restoring a classic car, in particular laying out the barebones process for those that have never done this before. 1) Find Your Car And Parts: This is where the process starts. You have to choose a specific make, year, and model that you’re actually going to work on. Furthermore, you’ll need to make sure the parts are available. Some classic restoration projects become available because the previous enthusiast got tired of looking for things that disappear more and more with every passing year. On the other hand, they might have been purists that didn’t want to use replacement parts and only originals. Original parts mean greater authenticity in the restoration, but replacement parts make the project much easier, cheaper, and quicker. Decide your standards early on. 2) Inspect The Vehicle Thoroughly: Go from one bumper to the next, if they’re even there, and go over each section of your vehicle. Note down specifically the condition of body parts, the exhaust system, the frame, the suspension, the engine, the electrical work, and the interior. This is the start of your total to-do list for your project. 3) Choose Your Restoration Level: In general, you have four options, and they all have varying levels of commitment. The most basic level is a driver restoration, which just gets the car back onto the road with some cosmetic corrections. If you just want something for personal use, this might be all you need to do unless the vehicle has substantial body damage. A street show restoration is the next step up. This is when you restore the car in a way that repairs aesthetic issues minor and major. The third level is a show car restoration that will likely need at least some professional work. The final product is a car that you can drive, but you likely won’t do it much once it’s restored so that you can keep it pristine. The highest possible level is concourse, and this is something you only should aim for if you intend to put the car into a private collection, be it your own or someone else’s. Cars which get restored to a concourse levels are not intended to ever be driven. They’re also typically professional-level projects, so if this is your first go around, it’s better to aim for a lower level of restoration to get your feet wet. 4) Make A Monthly Schedule: You know how much free time you have most weeks, as well as what pace your budget can handle the parts and tools you need. As such, break down the to-do list into specific tasks and lay them out over time, starting with the things you best know how to do already. 5) Consult Professionals For Estimates: You’ll find items on your list you can’t handle. Sometimes you’ll know in advance. Other times you’ll just find out after multiple failed attempts. Know when to hand off specific elements of the project to a professional. 6) Upgrade Any Safety Equipment: Just because a classic car is old doesn’t mean it can’t enjoy modern safety standards. In fact, to be legally road-worthy in some states, it might have to have retrofitted upgrades in terms of the safety equipment, including basics like seatbelts that weren’t originally there. You might also be able to add inconspicuous upgrades ranging from airbags to air conditioning. 7) Choose A Restoration Book: Buying something like a Haines manual can prove useful when you work on any new car, so why not get a restoration manual for a classic vehicle? There might be walkthroughs for anything from engine rebuilds to common body issues. You might need one if you’re already handy with cars, but then again, it might have pointers and wisdom or model-specific knowledge you never would have otherwise. 8) Join A Good Forum: The right restoration forum can give you camaraderie and answers when you need them, especially for problems your books and manuals don’t address. 9) Buy Discount Parts: Classic car restoration can get expensive over time, so you are going cheap when you can add up the savings. Find wholesalers online such as Car-partsdirect.com for auto parts and call local junk yards too. Aftermarket parts for things like belts and hoses can also save you money on your project. 10) Do As Much As You Can Yourself: The more repairs and work you can do on your own, the less you have to pay professionals for. You’ll also pick up skills and techniques from books and online tutorials that might prove useful on future restorations. Whichever of these tips you use, don’t even think you can rush you project. You’ve likely dreamed of this car for quite some time, and that dreaming will have to take more time in the form of work. By approaching your restoration mindfully and with careful planning, you can attain your shining dream car. 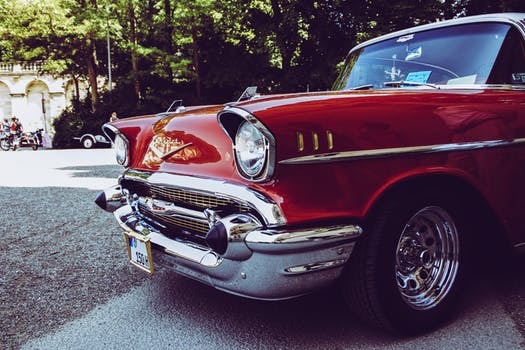 Use these tips to get started in restoring your classic car, but remember they are the start of your journey, as there is much more wisdom out there you can study up on and use.